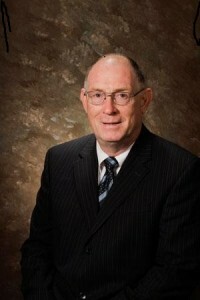 Dr. Lumm completed a Bachelor’s degree in Education from Northwest Missouri State University, three graduate degrees in educational administration (at Northwest Missouri State, the University of Toledo, and Bob Jones University), and the first year of Master of Divinity studies at Detroit Baptist Theological Seminary. Since serving as a Navy Supply Corps Officer after graduation from college, Dr. Lumm has spent most of the next 40 years actively involved in some aspect of Christian education. His life experience includes defense contract administration, pre-college administration and high school teaching, administration of a national Christian school association, and college administration and teaching. He has had a number of articles published in Christian education publications, has been a frequent presenter at Christian school conventions, and has served as a member of accreditation site evaluation teams.